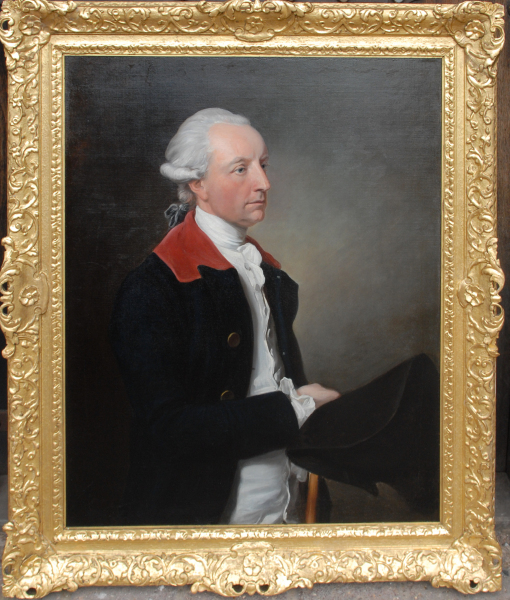 George Brydges Rodney, 1st Baron Rodney was celebrated as a naval hero, particularly after his victories in the American War of Independence. This portrait by an unknown artist shows him in an unusual pose, almost in profile, as though gazing out to sea. It dates from before 1778, when he was promoted from Vice-Admiral to Admiral.